The invention relates to recombinant polynucleotides, compositions and methods for interfering with antibiotic resistance genes, and/or replicons carrying such genes, in microorganisms in order to disable antibiotic resistance in the microorganisms. Antibiotics, originally isolated from microorganisms such as Streptomyces, are a powerful way to treat infectious disease. However, very quickly bacteria acquired anti-microbial resistance (AMR) to antibiotics in response to selection pressure. One common route to AMR has been the acquisition of resistance genes evolved in the original antibiotic-producing microorganisms, via horizontal transmission on plasmid vectors. Such plasmids have in some instances acquired multiple antibiotic resistance genes carried by transposable elements and integrons. Host-encoded mutations that modify the bacterial protein target or prevent entry of the antibiotic have also occurred. Resistance to antibiotics by microorganisms such as bacterial pathogens is one of our most serious health threats. Infections from resistant bacteria, for example, are now not uncommon, and some pathogens have even become resistant to multiple types or classes of antibiotics. The loss of effective antibiotics undermines our ability to fight infectious diseases and manage the infectious complications common in vulnerable patients, for example those undergoing chemotherapy for cancer, dialysis for renal failure, and surgery, especially organ transplantation, for which the ability to treat secondary infections is critical. When first-line and second-line treatment options are limited by antibiotic resistance or are unavailable, healthcare providers are forced to use alternative antibiotics that may be more toxic to the patient, more expensive and less effective. Even when alternative treatments exist, patients with resistant infections are often more likely to die, while survivors may have significantly longer hospital stays, delayed recuperation, and long-term disability. Many achievements of modern medicine are put at risk by AMR. Without effective antibiotics for care and prevention of infections, the success of treatments such as organ transplantation, cancer chemotherapy and major surgery would be compromised. The growth of global trade and travel allows antibiotic resistant microorganisms to be spread rapidly through humans, other animals, and food. Resistance mechanisms fall into four classes: (1) enzymes that degrade antibiotics, including beta-lactamases that break the beta-lactam ring of the penicillin family of antibiotics; (2) enzymes that modify antibiotics include aminoglycoside phosphotransferases that phosphorylate aminoglycoside antibiotics such as kanamycin; chloramphenicol acetyl-transferase (CAT) that acetylate chloramphenicol; (3) efflux pumps that actively export antibiotics from cytoplasm out of the cell, such as the tetracycline efflux pump that is expressed in the presence of tetracycline, plus other pumps, conferring multidrug resistance, that are capable of exporting a range of antibiotics; and (4) mutations that change the protein target of the antibiotic such that it is no longer inactivated by it; for example, beta-lactams are bactericidal because they inhibit penicillin-binding proteins (PBPs) that are required for peptidoglycan biosynthesis and bacterial cell wall integrity and PBP mutants with reduced binding to beta-lactams will not be inhibited. Several approaches are currently being used or developed to address the problem of antibiotic resistance, including the following. Firstly, new antibiotics, such as derivatives of existing drugs, have been developed. Fewer new antibiotic drugs have been developed, and many are more toxic so are used in the last resort. Microorganisms have acquired resistance to new antibiotics of both types. Secondly, direct inhibition of resistance enzymes has been attempted. Examples include clavulanic acid, a beta-lactamase inhibitor which is used in combination with amoxycillin, a beta-lactam antibiotic (also called Augmentin). Other beta-lactamase antibiotic inhibitors include the carbapenems. But even here resistance has appeared. Blueberry Therapeutics and Avacta are developing peptide affimers to target mechanisms of resistance. Development of new inhibitors of antibiotic resistance enzymes requires a long pipeline of drug development. An alternative approach has been adopted by Dr Eric Brown at McMaster University, Canada, who is screening known drugs (already approved for use) with unrelated targets, for cryptic activity in inactivating antibody resistance mechanisms. Thirdly, non-antibiotic bactericides have been used. For example, infection by bacteriophage was developed in the 1920\'s and although largely discontinued with the discovery of antibiotics, has been retained in certain countries. 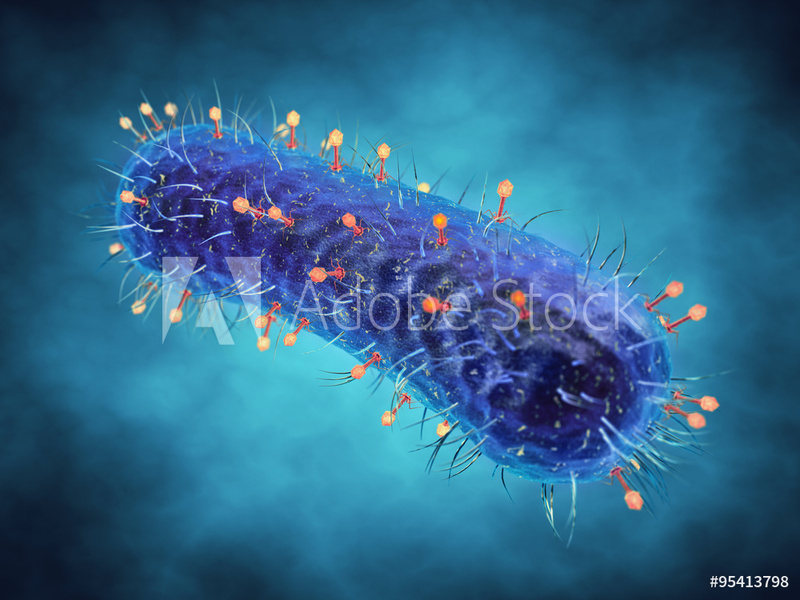 Current approaches use virulent, lytic bacteriophage that kill bacteria, including antibiotic resistant bacteria, but this opens the way for selection of bacterial variants that are resistant to bacteriophage infection. To obviate this, preparations containing a mixture of different strains of bacteriophage are being used. Another disadvantage of the use of such lytic bacteriophage in patients suffering from sepsis is that cell lysis and death by lytic bacteriophage can release endotoxins from the cell into the blood and can cause endotoxin shock. Further compositions and methods for combating antibiotic resistant microorganisms are required. According to a first aspect of the present invention, there is provided a recombinant polynucleotide comprising a clustered regularly interspaced short palindromic repeat (CRISPR) array nucleic acid sequence having or transcribing an RNA guide molecule with a spacer sequence sufficiently complementary to a target sequence of an antibiotic resistance gene in a microorganism for the antibiotic resistance gene to be inactivated in the presence of a CRISPR associated (Cas) DNA-binding polypeptide or a functional equivalent or a modified version thereof, thereby sensitising the microorganism to the antibiotic. In another aspect of the invention, there is provided a delivery vehicle for introducing a polynucleotide into a microorganism, such as an antibiotic-resistant microorganism, in which the delivery vehicle comprises a recombinant polynucleotide for inactivation of DNA carrying a gene encoding an antibiotic resistance enzyme which confers antibiotic resistance to the microrganism, and in which the recombinant polynucleotide comprises a clustered regularly interspaced short palindromic repeat (CRISPR) array nucleic acid sequence having or transcribing an RNA guide molecule with a spacer sequence sufficiently complementary to a target DNA sequence of the antibiotic resistance gene for the antibiotic resistance gene to be targeted and inactivated in the presence of a CRISPR associated (Cas) DNA-binding polypeptide or a functional equivalent or a modified version thereof, thereby sensitising the microorganism to the antibiotic, wherein the delivery vehicle is a non-virulent or a lysogenic bacteriophage. 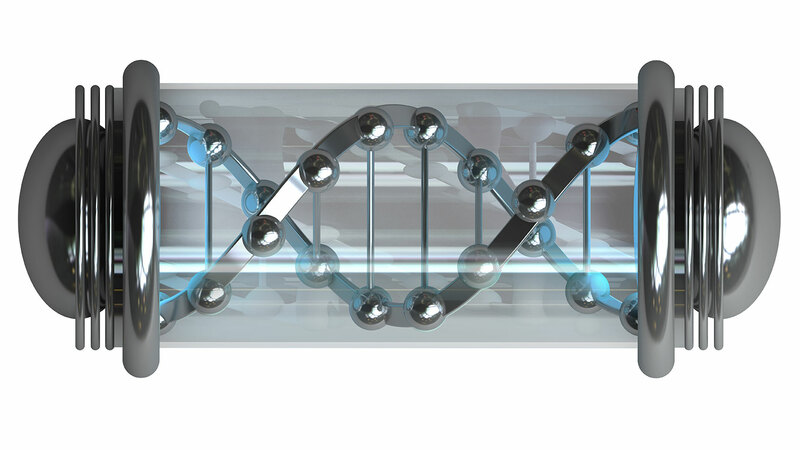 One general aim of the present invention is inactivation of DNA carrying a gene encoding an antibiotic resistance enzyme using a CRISPR/Cas system. An advantage of the invention is that one or more existing antibiotics can be used to treat infectious disease, as microorganisms become re-sensitised to the antibiotics or are prevented from acquiring antibiotic resistance. The target sequence of an antibiotic resistance gene may be a sequence flanking the gene itself which, if disrupted, inactivates the antibiotic resistance gene. For example, if the antibiotic resistance gene is located on a plasmid, the invention may encompass a target sequence in the plasmid. In contrast to prior art approaches of inactivating antibiotic resistance enzymes, the present invention will not require new drug development and the concomitant regulatory approval required for each new drug. Rather, the invention provides a tool which can be applied to target and inactivate relevant antibiotic resistance genes directly rather than the gene products. For example, a gene encoding an antibiotic resistance enzyme, or a gene encoding a protein regulating the uptake and export of an antibiotic by altering the membrane permeability and efflux pump expression, respectively, can be targeted. The CRISPR/Cas system is an RNA-mediated genome defense pathway that is part of a natural bacterial and archaeal immune system against nucleic acid invaders, analogous to the eukaryotic RNAi pathway (see for example Grissa et al., 2007, BMC Informatics 8: 172; Horvath & Barrangou, 2010, Science, 327: 167-170; Gasiunas et al., 2012, Proc. Natl Acad. Sci. USA 109: E2579; Marraffini & Sontheimer, 2008, Science, 322; 1843-1845; Garneau et.al., 2010, Nature 468: 67). Natural CRISPR systems contain a combination of Cas genes as well as non-coding RNA elements capable of programming the specificity of the CRISPR-mediated nucleic acid cleavage. Three types (I-III) of CRISPR systems have been identified thus far in a wide range of bacterial and archaeal hosts. Each CRISPR locus is composed of a series of short DNA direct repeats separated by non-repetitive spacer sequences. The spacer sequences, in nature, typically originate from foreign genetic elements such as bacteriophage and plasmids. As used herein, the series of repeats plus non-repetitive spacer sequences is known as a CRISPR array. The CRISPR array is transcribed and hybridised with repeat complementary tracrRNA followed by cleavage within the direct repeats and processed into short mature dual tracrRNA:crRNAs containing individual spacer sequences, which direct Cas nucleases to a target site (also known as a “protospacer”). For example, the Type II CRISPR/Cas9 system, a well-studied example, carries out a targeted DNA double-strand break (“DSB”) in four steps. Firstly, two RNAs, the pre-crRNA array and tracrRNA, are transcribed from the CRISPR locus. Secondly, tracrRNA hybridises to the repeat regions of the pre-crRNA and mediates the processing of pre-crRNA into mature crRNAs (also referred to herein as “RNA guide molecules gRNA” containing individual or monomer spacer sequences. Thirdly, the mature crRNA:tracrRNA complex directs Cas9 protein in the form of a ribonucleoprotein to the target DNA via base-pairing between the spacer on the crRNA and the target site on the target DNA. Finally, Cas9 mediates cleavage of target DNA and creates a DSB. In the present invention, as elaborated herein, modified CRISPR constructs are used to target antibiotic resistance genes. The recombinant polynucleotide of the invention using such a construct is also referred to herein as an “assassin construct” which is used to effect inactivation of such genes. The main focus of using CRISPR technology to date has been for use as a DNA editing tool for reverse genetics, primarily in eukaryotes. However, WO2007/025097 describes the use of CRISPR technology for modulating resistance in a cell against an invading target nucleic acid or a transcription product thereof, especially against invading bacteriophages. 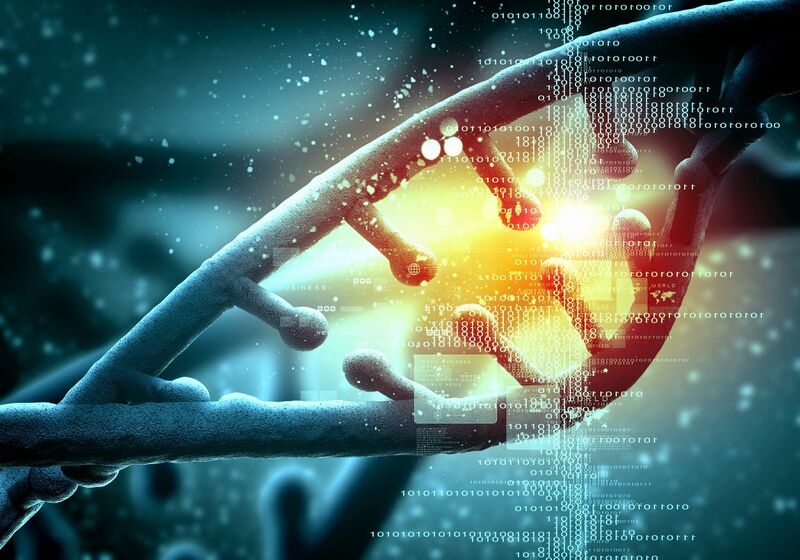 Methods for downregulating prokaryotic gene expression using CRISPR technology to target mRNA transcribed by the genes have been suggested for example in WO2010/075424. WO2012/164565 describes a CRISPR system from Lactoccocus and use of the system for modulating resistance of a cell against an invading target nucleic acid or a transcription product thereof. The present invention, by contrast, concerns inter alia inactivation in an antibiotic-resistant microorganism of genes involved in conferring the antibiotic resistance. According to the invention, the RNA guide molecule may mediate binding of the Cas DNA-binding polypeptide or its functional equivalent or its modified version to the antibiotic resistance gene. This mirrors the natural system described above. The Cas DNA-binding polypeptide or its functional equivalent or its modified version of the invention may also be capable of binding to RNA or other nucleic acid molecules. In other words, the requirement for the Cas DNA-binding polypeptide or its functional equivalent or its modified version to be capable of binding DNA does in some aspects of the invention does not exclude the polypepeptide or its functional equivalent or its modified version being capable of binding RNA or other nucleic acid molecules. In these aspects, the Cas DNA-binding polypeptide or its functional equivalent or its modified version may be referred to as a Cas nucleic acid-binding polypeptide or its functional equivalent or its modified version. For certain applications, the microorganism may have a natural endogenous, or introduced engineered, Cas DNA-binding polypeptide or functional equivalent or modified version. This means that the recombinant polynucleotide of the invention is not required to encode the Cas DNA-binding polypeptide or functional equivalent or modified version. Alternatively, the recombinant polynucleotide of the invention may further comprise a nucleic acid sequence which encodes the Cas DNA-binding polypeptide or its functional equivalent or modified version. In another aspect, the recombinant polynucleotide of the invention does not encode the Cas DNA-binding polypeptide or its functional equivalent or modified version but may be used in conjunction with a separate polynucleotide which does. Other means for introducing the Cas DNA-binding polypeptide or its functional equivalent or its modified version into the microorganism may be used. An exemplar Cas DNA-binding polypeptide according to the invention is Cas9 or a functional equivalent thereof or a modified version thereof. In the recombinant polynucleotide according to various aspects of the invention, the CRISPR array nucleic acid sequence may have or transcribe additional RNA guide molecules each comprising a spacer sequence sufficiently complementary to a target sequence of the antibiotic resistance gene or one or more additional antibiotic resistance genes. The or each RNA guide molecule may be transcribed from its own promoter sequence. Alternatively, a set of a number of RNA guide molecules may be transcribed from one promoter sequence and optionally in combination with one or more other such sets. For example, a set of four RNA guide molecules may be transcribed from one promoter sequence, for example in combination with one or more other such sets of guide molecules. Having multiple RNA guide molecules allows different antibiotic resistance (or other types of) genes in a microorganism to be targeted and inactivated simultaneously. The recombinant polynucleotide according to various aspects of the invention may additionally or alternatively be designed to include an RNA guide molecule (such as a further RNA guide molecule) targeting a gene involved in pathogenicity or other aspects of microbial metabolism. For example, certain pathogens form biofilms that make it difficult for antibiotics to gain access to them. 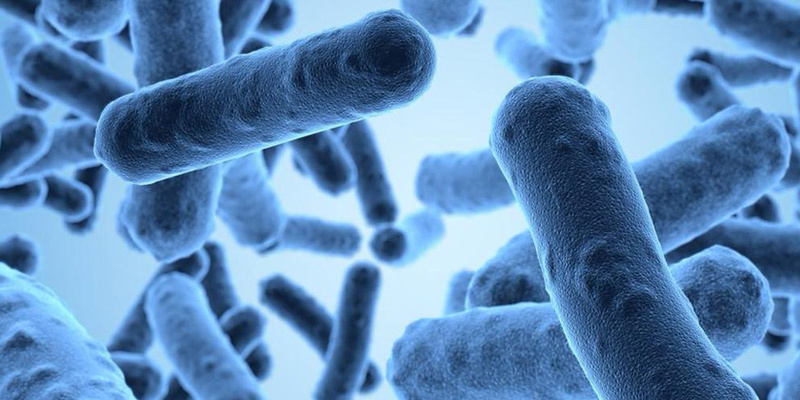 One or more genes involved in bacterial metabolism for biofilm production may be targeted. Spacer sequence distal from a promoter are typically less efficiently transcribed. Ideally, multiple RNA guide molecules to different targets should be more or less equally represented. Thus, one promoter transcribing each RNA guide molecule may be used (instead of relying on a long polycistronic RNA guide molecule [or precursor crRNA] transcription). For example, there are many resistance genes encoding beta-lactamases (bla genes) giving resistance to a large range of different beta-lactam antibiotics. DNA constructs expressing multiple RNA guide molecules, which may each be individually transcribed from their own such promoters, may be used to target a number of different bla genes. Thus in aspects of the invention, the CRISPR array nucleic acid sequence may have or transcribe one or more RNA guide molecules each comprising a spacer sequence sufficiently complementary to a target sequence of one or more beta-lactamase genes.